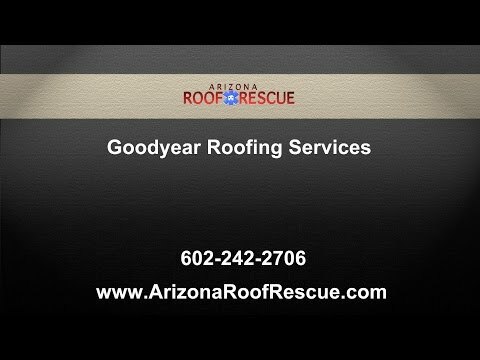 Arizona Roof Rescue » Blog » Does My Goodyear Roof Really Need Cleaning? Here are just a few of the many reasons why your roof needs to be cleaned promptly! When you look up at your roof, do you see big, brown or black streaks? Do you see green patches of moss or algae growing on it? You need to call a Goodyear roofer to get your roof cleaned. While you might think that roof cleaning is just for aesthetic purposes, it is actually an important part of Goodyear roof maintenance to help you reduce your need for roof repair. When you live in a place like Goodyear where the temperatures are extreme and the storms are fierce, you can’t afford to have a vulnerable roof. You need to do everything you can to keep it strong to protect your home. Moss and algae are living organisms. By the time you see them on your roof, they have already started putting down roots in your shingles or wood shake. The longer they grow, the more they can penetrate the shingle, the underlayment and the subdeck. This damage allows water to spread, which can rot the materials and cause the spread of mold. Not only will your roof be less effective in regulating the energy of your home, but your family will be at risk of health problems. When water gets into your roof and it starts to rot, the smell will attract insects and animals such as squirrels or raccoons. Animals associate that rotting smell with food and shelter, so they will come to your home looking for both. Once inside your home, they will nest, and it will be very hard to remove them. One way that your roof helps to control the energy efficiency of your home is to reflect the rays of the sun. A roof that is covered in moss, lichen and algae cannot effectively reflect the rays of the sun. That means that your home will absorb more heat — not at all something you want happening in the Arizona summer. Your air conditioner will work over time to keep your home cool, and you’ll be paying more than you should on your energy bills. Some insurance companies will cancel your policy if you have a dirty roof or refuse to clean it. The insurance companies know the risk that a dirty roof poses, and they don’t want to pay out claims for damages to your home as a result. Of course, insurance companies don’t make it a habit to stop by your home unexpectedly to check on the state of your roof. But they could make an unannounced inspection, or they could notice it when they are checking out your home for another claim. Don’t take a risk. Arizona Roof Rescue can help to keep your roof clean and lengthen its lifespan while maintaining the beauty of your home. Call us today to schedule this important roof maintenance with an experienced roofer. You will avoid costly roof repair and will keep your home looking great. 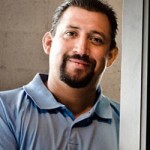 Home » Blog » Does My Goodyear Roof Really Need Cleaning?